Shown above is the installation of the FT100 in my Dodge Durango. 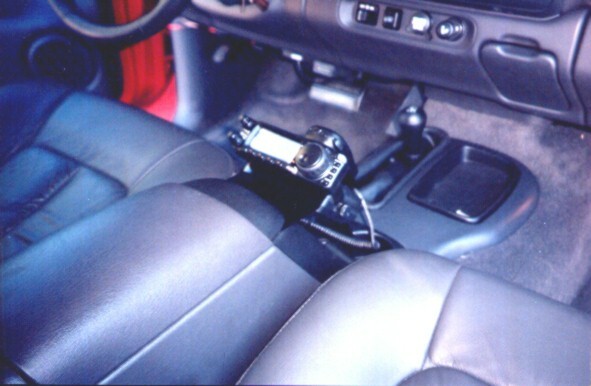 It is mounted on a custom bracket that is attached to the center console. There is an external speaker mounted on the bottom of the bracket and the mic clip is attached to the back of it. The antenna coax and power cable are routed under the carpet and then up under the dash. This mounting position makes if very easy to tune as I can just rest my arm on the center console/armrest work the buttons and tune the main knob. With the armrest open you can see the screws that attach the custom bracket to the center console. The radio is installed down inside the console. Their is a CD/tape holder insert which is removed in this picture, but it fits inside even with the radio installed. The FT100 is just the right size to fit in the empty space under the CD/tape holder. 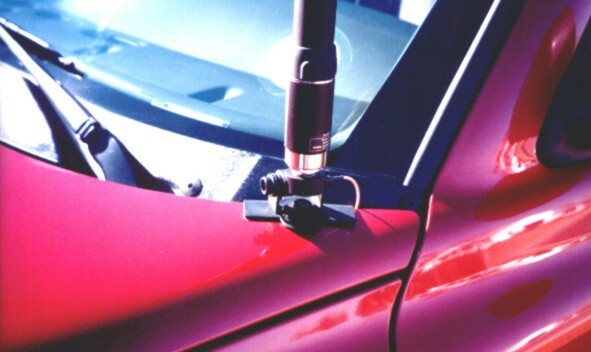 Shown in this photo is the ATAS100 mounted to the hood of the vehicle. 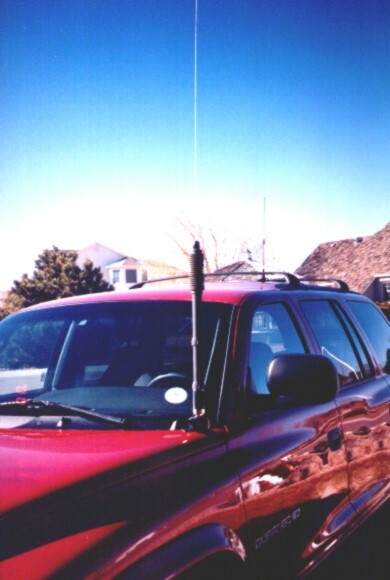 I use a separate dual band mag mount whip antenna for VHF/UHF. Both antennas rub on the opening to my garage, but not enough to cause any problems. 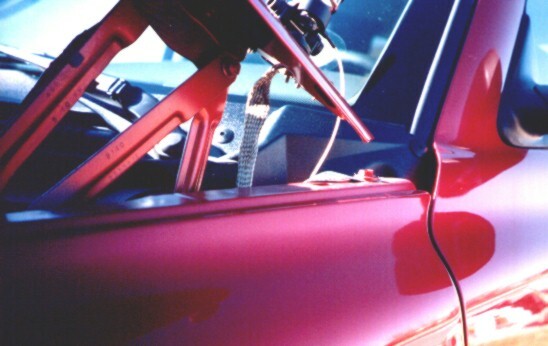 This picture shows a close up of the Diamond K400 trunk lip mount fastened to the hood of the vehicle. The hood opens with the ATAS attached and shown in this photo is the ground strap between the Diamond K400 mount and the frame of the vehicle. The braid is attached to a piece of brass shim that is held in place by the 4 set screws that clamp the mount to the hood. 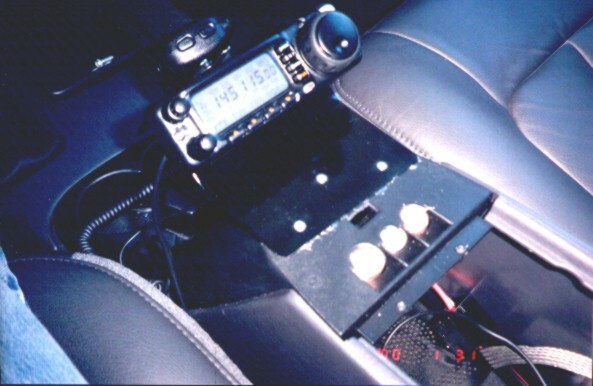 A braided ground strap is also used to ground the radio inside the center console.